Root canal treatment allows you to keep your tooth instead of extracting it when the nerve becomes infected. This means you don’t have to replace the missing tooth or deal with the problems caused by the spacing. Keeping a natural tooth is always better than replacing it with an artificial tooth. When the nerve of your tooth is infected as a result of an impact, decayed pulp (the nerve), or an abscess, root canal treatment allows you to keep your tooth instead of having it removed. By preserving your natural tooth, you prevent other teeth from losing their alignment, causing further problems in the jaw. You also avoid having to pay for a replacement tooth. 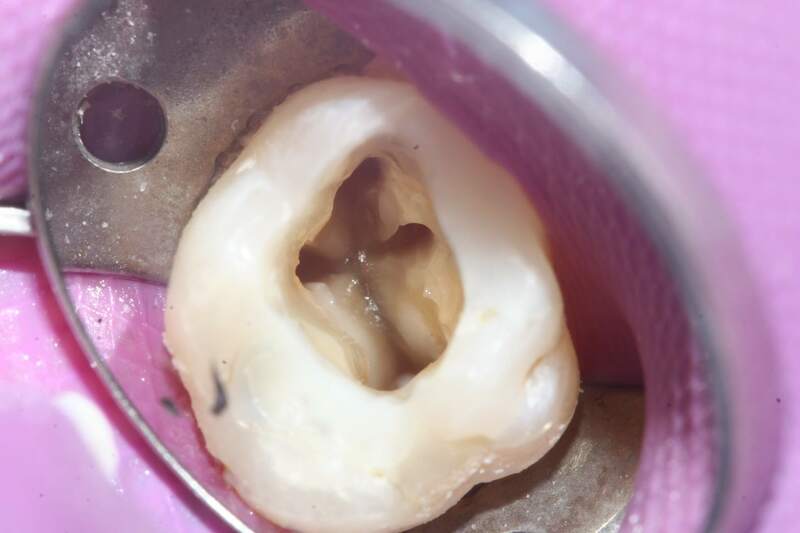 The space inside the hard layers of the tooth is called the canal, which is filled with pulpy nerve material. Root canal treatment involves removing infected, damaged or dead pulp from the tooth. Bacteria (microbes) that penetrate into your teeth through deep cavities, cracks, or damaged fillings can cause an abscess when the pulp is infected. Under local anesthesia, root canal treatment involves making a small opening in the tooth to access the damaged canal and pulp. The pulp is removed, the canal is cleaned and disinfected, and then sealed with a special material. After treatment, your tooth needs to be restored to return function and appearance. Depending on your case, your tooth can be restored with a permanent filling or crown [link to/dental-crowns/]. This will depend on the strength of the remaining part of your tooth and your dentist’s diagnosis.